NEW YORK—Drawings communicate the inner world of the artist perhaps more intimately than any other medium. From the spirit, heart, mind, and hand to the marks made on paper, the artist draws his or her own visual language—a language that defies words. When you see the result in person, a good drawing communicates viscerally. 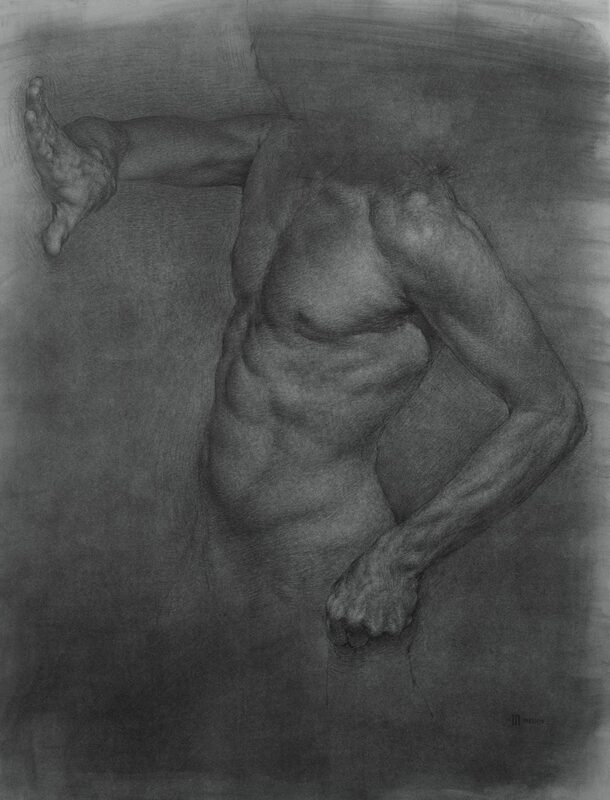 “With drawings, you can really see such subtlety and sophistication in an artist’s hand, just in terms of their strokes or their hatching,” said Jordan Sokol, academic director of The Florence Academy of Art–U.S. Usually, artists draw simply to try out new ideas, to create a preliminary study for a bigger, more serious piece of work—a painting, a sculpture, an installation, or a building. Yet, the status of drawings has been elevated to new heights of late, most recently with exhibitions of old masters such as “Michelangelo: Divine Draftsman and Designer” and “Leonardo to Matisse, Master Drawings From the Robert Lehman Collection,” both at The Metropolitan Museum of Art, or “Drawn to Greatness: Master Drawings From the Thaw Collection” at The Morgan Library and Museum, also in New York, or “The Encounter: Drawings From Leonardo to Rembrandt” exhibition at the National Portrait Gallery in London, to name a few. 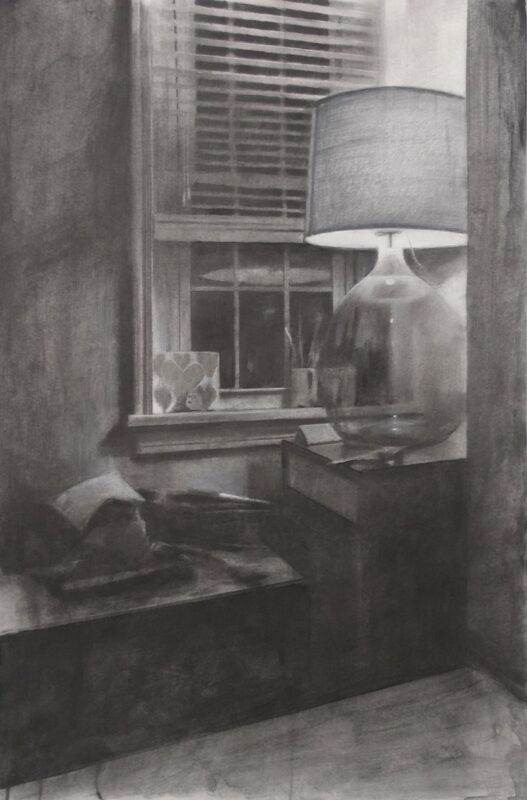 Living artists are continuing in the vein of elevating drawings even further, in the current exhibit “On Paper: An Exhibition of Drawings” at The Florence Academy of Art–U.S. (FAA–US). The opening drew a packed crowd on April 29, coinciding with the general open house at Mana Contemporary, a conglomerate of studio and exhibition spaces, where FAA–US currently resides in Jersey City, in the New York Metropolitan area. 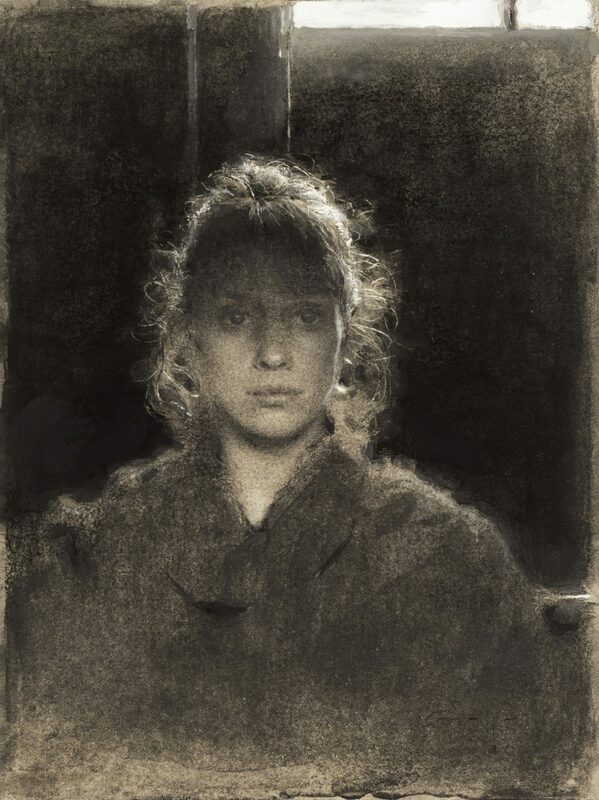 Suitably displayed on charcoal-like black walls, the 50 works, on paper of different sizes by some 30 leading figurative artists, show a wide range of subject matter: portraits, self-portraits, figures, nudes, interiors, still-life, trees, oceans, animals, and landscapes. Gurpide creates much of her work on paper, using a variety of mediums, and dedicates as much time to them as she would to her oil paintings. “Because drawing fascinates me so much, I like the idea of working on what I call painted drawings,” she said. All the works in “On Paper” are priced at or below $5,000, rendering them exceptionally accessible to aspiring collectors and the general public. Gurpide’s self-portrait in the exhibition sold online before the end of the opening, but it could potentially be valued as high as a painting. “It has so much graphite, charcoal, Conté, white chalk, and gouache, and also the paper is toned, that I joked with my Spanish friends saying it was like making a paella—adding and mixing all these different ingredients to the rice,” Gurpide said, smiling. 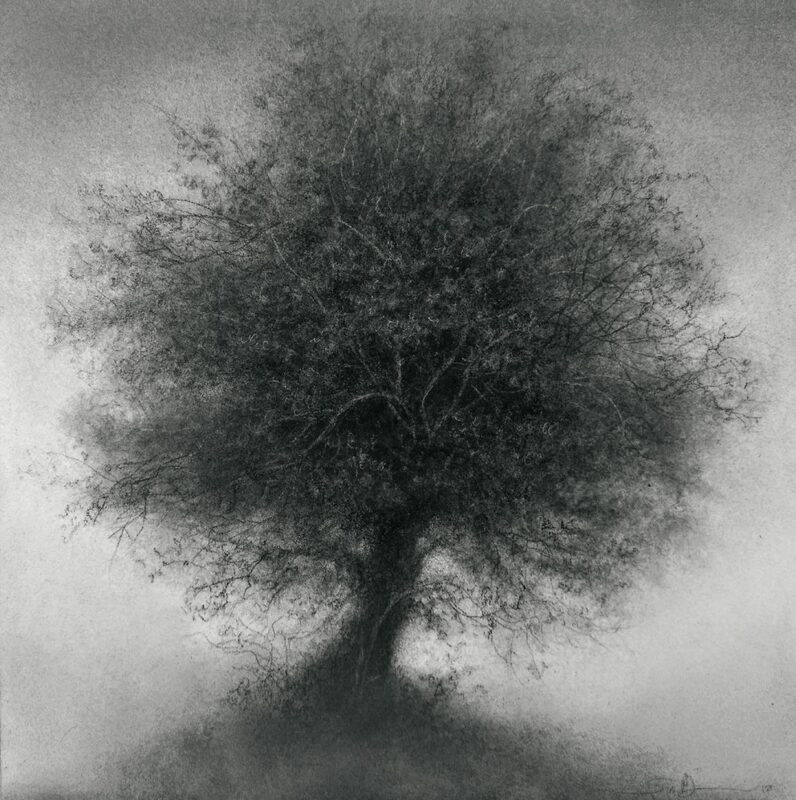 Looking at the works by Stephen Bauman, Michael Grimaldi, Edmond Rochat, and Irvin Rodriquez in the exhibition, among others, you can tell these artists are painters from the way they handle the charcoal or the graphite in a more painterly manner, Gurpide pointed out. 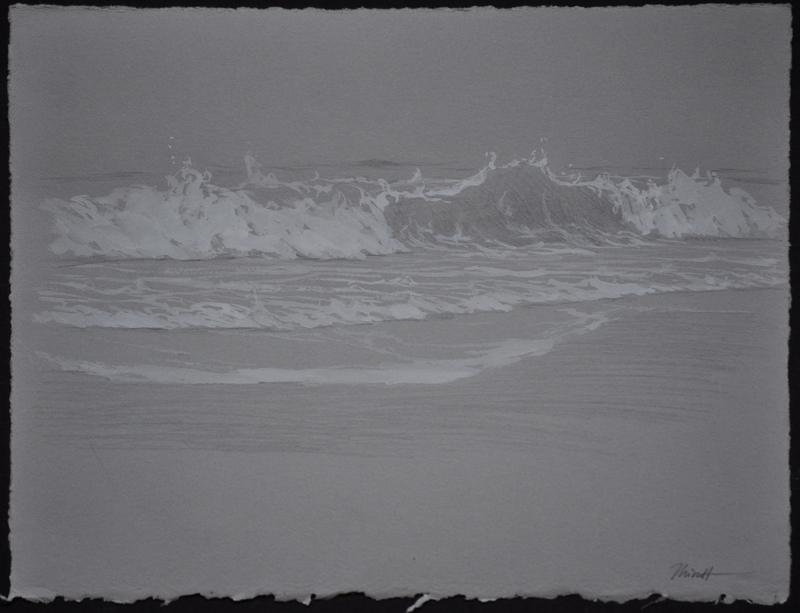 In drawings by Dan Thompson or Vitaliy Shtanko, you can see they used toned paper, a “sauce on the paper technique,” as Gurpide called it, “so it’s almost like using paint,” she added. Other works stood out for their narrative content besides their techniques: those by Sue Bryan and Molly Judd, who were new to showing at FAA–US exhibitions, or those by Cornelia Hernes, Julio Reyes, Roald Sivertsen, and Kate Lehman. Some of the pieces are surprisingly smaller or larger than you would expect when seeing them online. “It’s a very engaging psychological process to see the actual work and its format, in person,” Gurpide said. Strongly emphasizing drawing as the foundation for creating skilled artwork, it’s only natural for FAA–US to put on an exhibition such as “On Paper.” “Drawing is the bedrock of visual discovery and the cornerstone of an artist’s education,” Sokol explained. Many of the works displayed were actually intended as preliminary studies. Several are quite academic, although not in the least stiff in the sense of appearing like a student’s exercise. 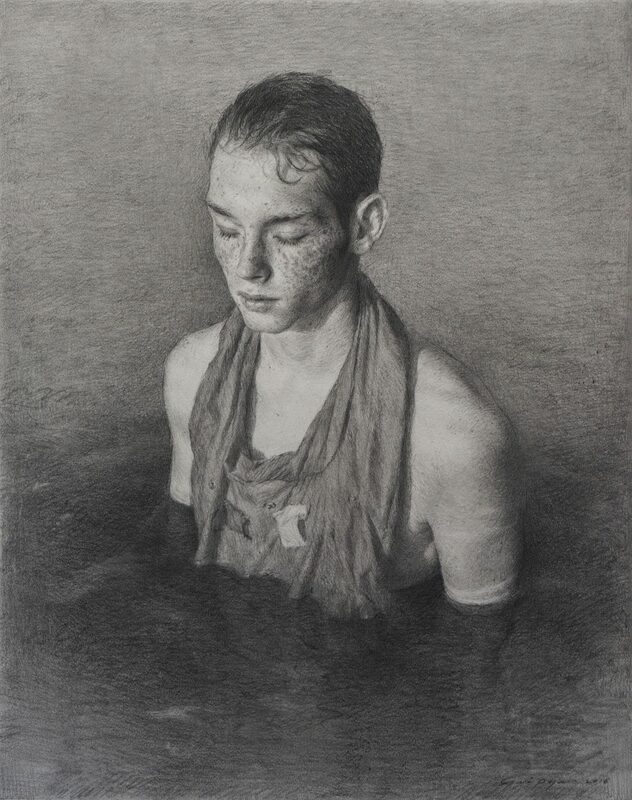 For example, the drawings by Colleen Barry, Will St John, Darren Kingsley, Jon deMartin, Zoey Frank, and M. Tobias Hall show more readily the fresh intimacy of the artist’s hand. 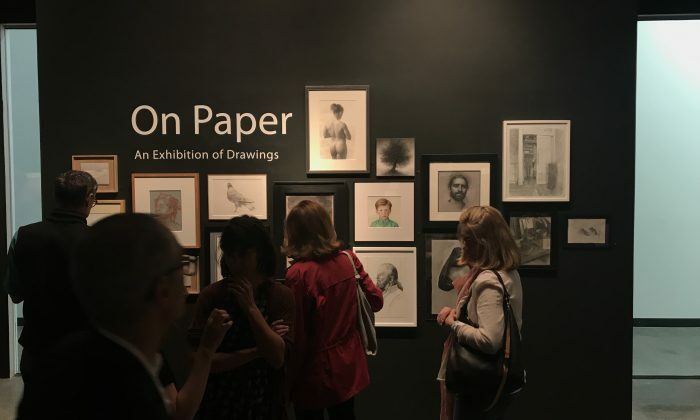 Overall, “On Paper” is an exquisite display of artists’ thought processes, artistry, and conceptualized ideas, literally on paper.